The most pressing matters of our time — migration, climate change, violent conflict, human rights, economic globalization, epidemics — transcend national boundaries and require a global response. The international affairs degree program will equip you to take on these worldwide challenges through rigorous interdisciplinary coursework, language studies and a rich international experience. Combine the dual major with any other major on campus and graduate as a critically-minded and responsible global citizen ready to contribute meaningfully to the world. Why study international affairs at UNH? Our international affairs dual major is available to all UNH students, allowing you to combine your studies with disciplines ranging from business to civil engineering to the arts. You’ll gain international experience through your choice of a study-abroad program, directed research, an internship or a service opportunity. You’ll also participate in a capstone research project drawing on your experience abroad, typically presenting at UNH’s annual Undergraduate Research Conference. Explore additional opportunities through our Center for Study Abroad and the Hamel Center for Undergraduate Research. Connect with fellow students through the UNH Model United Nations team. The international affairs (IA) dual major can complement and add a global dimension to any other major at UNH. The completion of the dual major requires no additional credits for graduation beyond the 128 required of all UNH students. All coursework required for international affairs must be completed with a grade of C or better. For information, contact the International Affairs Program Assistant. Students who wish to declare international affairs dual major must earn a C or better in IA 401, have declared a primary major, and have a 2.5 cumulative grade-point average. Students are expected to maintain at least a 2.5 grade-point average, the minimum required for study abroad at UNH. Participation in the international affairs dual major and minor is open to ALL students at UNH. For instance, the Department of Civil Engineering has developed a dual-major program in civil engineering and international affairs. 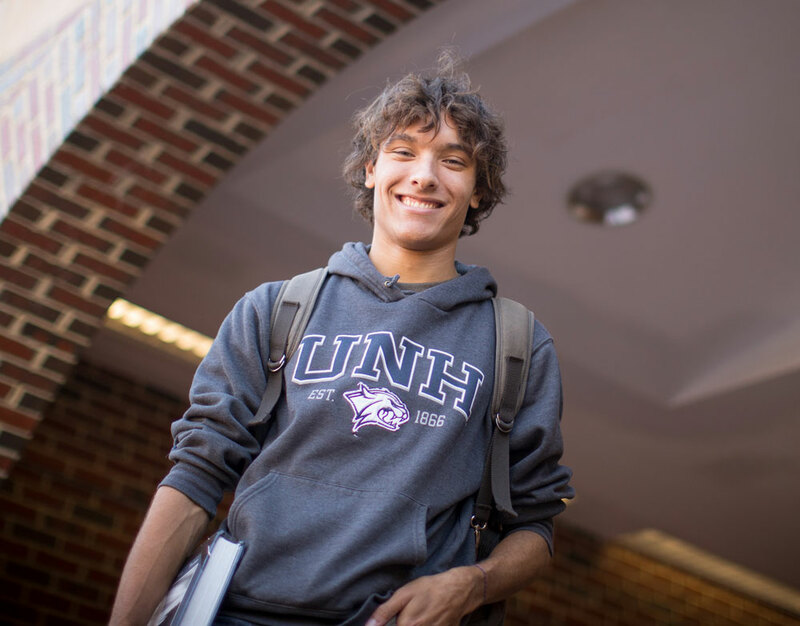 Students do not need to have pre-existing skills in a foreign language before coming to UNH. For more information about the civil engineering/IA program, contact Ray Cook at ray.cook@unh.edu. IA majors must demonstrate functional reading, writing, and speaking ability equivalent to a second-year, second-semester college level (504). Students may take placement tests to establish proficiency. Native second language speakers are exempt from this requirement - speak to an IA advisor. 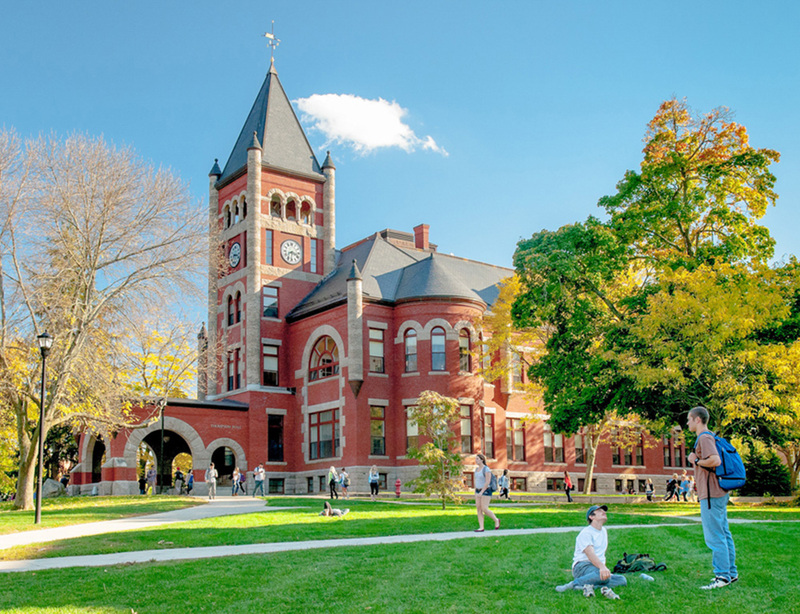 Language study may be pursued at UNH; through study abroad in the summer, J-term, or academic year; or through transfer credits from other institutions with the permission of an IA advisor. Minimum of eight weeks. The IA international experience is typically conducted in a country or region that uses the student’s second language. Students may pursue their international experience elsewhere after consultation with an IA advisor. The international experience (usually completed in the junior year) is completed before taking IA 701 in the senior year. Students may spend an academic year, semester, or summer in an academic institution, in an internship with a private or public organization, or in purposeful travel/research. Students must meet with the Study Abroad advisors at the Global Education Center to plan their international experience, typically a year in advance of study abroad. IA Dual Majors take three electives, one course from each category list: Politics, Culture, and History and from Science, Environment, Economy and Health. IA dual majors choose their 3rd elective from either list. IA electives are offered across the university and may be used to fulfill Discovery, Honors Program and/or other minor requirements. Up to 8 credits may be double counted between your primary major and IA. Additional courses taken in the primary major may count for IA if these courses do not count towards your primary major requirements. Electives may be taken at UNH, on the international experience, or transferred from another university with permission of your IA advisor. Water - How Much is Enough?